Noah London was born in Russia in 1888. He emigrated to the United States and had been one of the founders of the American Communist Party. London was educated at Cooper Union in New York City and became an engineer. He was the labor editor of the Morgen Freiheit and one of the leaders of the leaders of the Jewish Federation of the Communist Party. In 1926 London and his wife, Mirel, moved to the Soviet Union. According to one source "London... voluntarily gave up a well-paying position as engineer with one of New York’s big corporations and went to the Soviet Union with his wife, to place his technical talent at the disposal of Soviet economy." London eventually became head of water management for the Russian SFR, reporting to Gregory Ordzhonikidze. 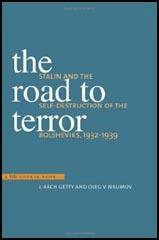 London was critical of the policies of Joseph Stalin. When this was discovered by the NKVD he was arrested and according to Walter Krivitsky was sent to Siberia and was executed in 1937. The Workers’ International News reported in July 1938: "Why was this old communist militant executed? To those who knew him and worked with him in the past – even to those who could not agree with his political acceptance of Stalinism – it is inconceivable that he should have committed any crime against the revolution or the Soviet Union to merit capital punishment. And the fact that the official communist press has been absolutely silent about his case only strengthens the suspicion that Noah London was murdered by the Stalinist assassins. We know that hundreds of foreign-born communists – leaders and rank and filers – well known in the German, Hungarian, Polish, Greek and other movements have been murdered on Soviet soil by the GPU. But this is the first case we know of which involves an American communist." Mirel London was sent to a woman's camp for "family members of traitors to the motherland." She was released in 1945 and died four years later. A report has reached the United States that Noah London has been executed in Moscow, and there is good reason to believe that the report is true. He was a founder of the Communist Party of the United States and a leader of its Jewish Federation for years. A true proletarian, raised in the misery and poverty of New York’s East Side, he devoted his whole life to the revolutionary movement. Speaker, organizer and writer, he was known to thousands of Jewish workers in New York and elsewhere. Among the leading spirits in the foundation of the first Jewish communist daily newspaper – the Freiheit – he was a member of its editorial staff all during the early years of its existence. In addition he was a member of the Educational Committee of the party and one of the directors of the CP Workers School since its foundation. Several years ago, he voluntarily gave up a well-paying position as engineer with one of New York’s big corporations and went to the Soviet Union with his wife, to place his technical talent at the disposal of Soviet economy. He left for Russia with a recommendation from the American Communist party to the Soviet authorities. Why was this old communist militant executed? To those who knew him and worked with him in the past – even to those who could not agree with his political acceptance of Stalinism – it is inconceivable that he should have committed any crime against the revolution or the Soviet Union to merit capital punishment. And the fact that the official communist press has been absolutely silent about his case only strengthens the suspicion that Noah London was murdered by the Stalinist assassins. We know that hundreds of foreign-born communists – leaders and rank and filers – well known in the German, Hungarian, Polish, Greek and other movements have been murdered on Soviet soil by the GPU. But this is the first case we know of which involves an American communist. What has Moissaye Olgin, London’s old friend, political colleague and collaborator on the Freiheit, to say about the case? What have his other old associates to say about it? Why is there no statement at all from the party of which he was a member? The labour public is entitled to a plain-spoken explanation!